Our Wide Range of Concrete Floor solutions could cater to your every need. 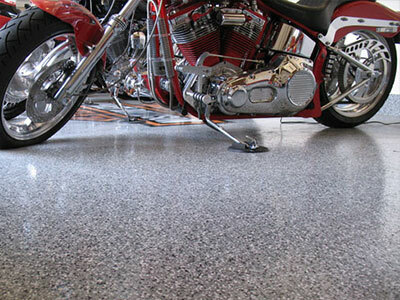 All Garage Floors installed by Rose Concrete Coatings are top of the line, industrial coatings. 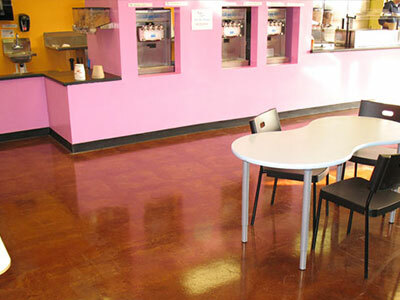 Our durable floors are economical, beautiful and low maintenance. Whether your floor is new or old, we have the right equipment to properly treat the concrete for guaranteed adhesion. We can transform your grey concrete into art! 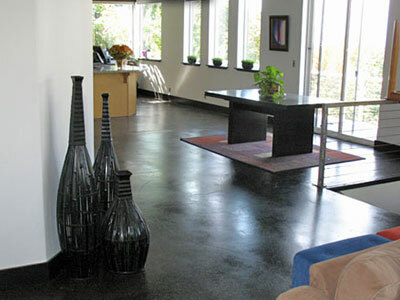 Concrete Staining gives the appearance of expensive flooring at a fraction of the cost. 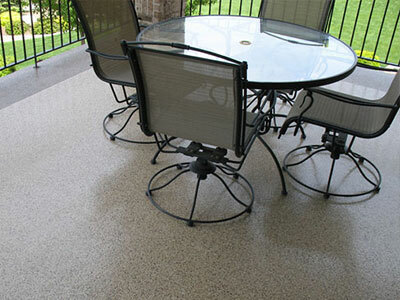 It is a unique and elegant option for existing interior and exterior concrete surfaces. Our Solid Surface Decks are a practical, elegant feature for your home. We offer durable, Polyurethane Elastomeric Decking Systems that expand and contract with your deck and will not crack. Our decks are 100% waterproof, flexible, and have a beautiful glossy designer finish. Rose Concrete Coatings has the experience, manpower and know-how to complete large commercial and industrial projects on-time and within budget with a full understanding of architectural specifications on most all treatment options!